In the mathematics education program, you’ll explore the beauty and order of math and be equipped to teach. Whether you desire to teach in a public or private school, in the United States or overseas, the mathematics education program at Bob Jones University will prepare you to be an effective, innovative and Christ-centered educator. The program is approved by the South Carolina Department of Education, leading to initial South Carolina state licensure (licensed to teach grades 9–12 in a public school setting). Graduates from BJU’s mathematics education program have been accepted into leading graduate schools and are teaching in the United States and overseas. BJU’s mathematics courses go far beyond routine drills and problem-solving to teach you how to explore problems, thoroughly understand them, apply effective solutions and teach others to do the same. From Theories of Teaching and Learning to Technology in the Classroom to Teaching Mathematics, the classes you take will give you a solid foundation in multiple content areas and diverse instructional methods. You’ll study analytic geometry, theorems of Green and Stokes, and probability and statistics, so you’ll be prepared to teach a wide range of students. You’ll also receive training in the most up-to-date educational technology such as Promethean boards and iPads, providing even more exciting tools to help your students learn. Most importantly, you’ll gain plenty of hands-on experience teaching both small groups and larger classes. The past five years have yielded 100% pass rate in the Praxis II Mathematics: Content Knowledge as a result of the solid foundation our students work hard to achieve. These results open up many opportunities in the workplace: we receive approximately 50–75 requests for math teachers each year, which we are currently unable to fill. A degree in mathematics prepares you for a wide range of fields, and you’ll expand your skill set even further with BJU Core courses. You will study the past to understand the present through your history and philosophy courses. You’ll take courses in speech and English that will develop your ability to communicate effectively in the workplace, in your community and with your family. You’ll also learn how to become a lifelong learner, a person who is flexible and able to adapt to the continuous changes and challenges of the modern workplace. And more importantly, each of your classes—especially your Bible classes—will build your faith and give you a solid foundation in the Word of God, so you’ll know what you believe about God, how to live out your faith for Him, and how to share your faith with others. Because the mathematics education program is comprehensive, there are no electives included. However, you can take online courses during the summer to free up your class schedule during the semester. You would then be able to take middle school education classes that count toward add-on licensure. Or you may choose to fit in extra classes according to your personal interests. The spiritual emphasis that Bob Jones University takes has been such a huge encouragement to me over the last 13 years. My husband and I have gone through many hard trials, but the lessons learned from godly teachers who love the Lord even in the tough times have helped us through. The lesson to always do your best, to never quit, to be honest in all your dealings and to love the Lord above all else has stayed with me. I really appreciate all the University did to prepare me academically and spiritually. 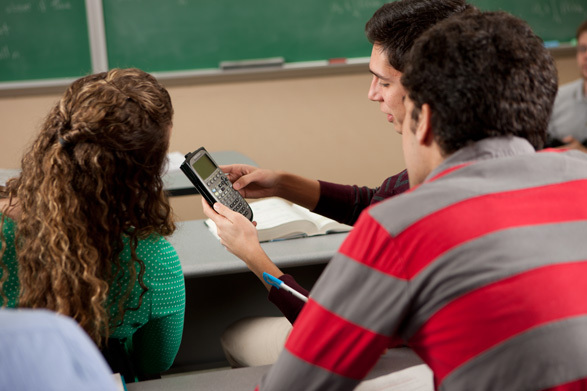 A mathematics education degree at BJU opens up a variety of employment opportunities to you. Your teaching preparation moves gently from classroom observations to after-school tutoring to practicum two mornings a week. Meanwhile, your methods classes will give you plenty of practice in lesson planning. By the time you begin your clinical practice your senior year, you will be well prepared with numerous lesson plans under your belt and at least 100 hours of classroom experience. Clinical practice, the capstone experience of your teaching preparation, gives you the opportunity to work with a mentor teacher in a local public school and receive timely feedback in weekly meetings with a BJU professor. This semester of clinical practice, along with completion of required classes, passing scores in the PRAXIS II exam and a favorable recommendation, leads to South Carolina state teacher licensure for grades 9–12. During the spring semester the Technology Ministry Team holds robotics workshops for Christian high schools in the Southeast. If you join the team, you’ll build and program robots and teach high school students as you explore the benefits of studying science and technology fields. The University Educators Association provides programs and activities that complement BJU’s teacher preparation program. Each semester a math education forum provides additional opportunities for math education students to hear from educators on topics appropriate for math teachers. BJU’s accomplished mathematics faculty hold terminal degrees in their respective fields, which range from mathematical sciences to curriculum and instruction. They have many years of combined teaching experience—one has more than 50 years alone. In addition, the mathematics faculty have been awarded national recognition in areas of expertise and have taken courses to further enrich their teaching. Present mathematical content within the framework of a biblical worldview. Solve problems in theoretical and applied settings in a variety of mathematical contexts. Exemplify current pedagogical skills in teaching mathematics.